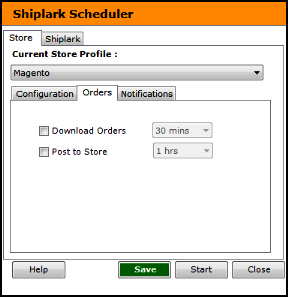 • Download Orders -Download new orders from your online store into Shiplark. This should be configured based on the frequency with which you expect to receive new orders in your store. • Post to Store - This should be configured based on the frequency of your orders and how often you want to post back updates to your Store.